I'm happy Earth Defense Force continues to exist. There's no shortage of modern video games in which your primary interaction with the world is shooting things, but so few of them are lighthearted, charming, or funny. I don't need every game to strive for photorealism or masterful storytelling, you know? Sometimes I just want to fire guns at hundreds of bugs, robots, and dragons until they explode, or knock down entire cities, building by building, with zero consequences. Sometimes I want to chant "EDF! EDF! EDF!" while somersaulting to victory. 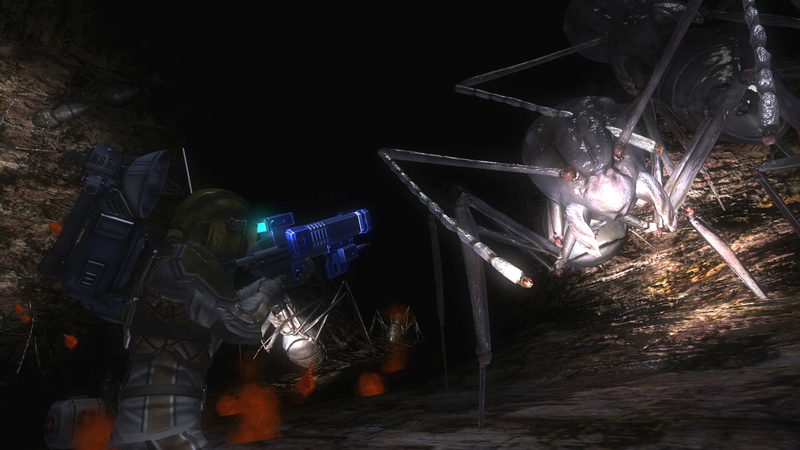 Going into EDF 4.1, I wasn't sure what to expect other than 1080p and 60 frames per second. 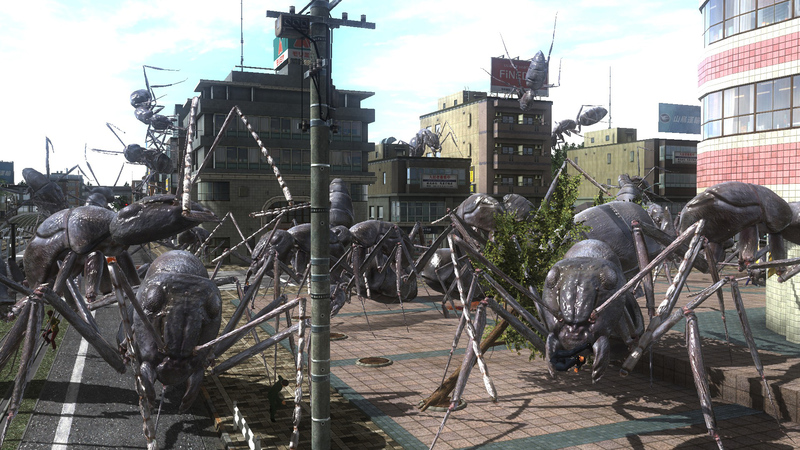 This is an enhanced version of Earth Defense Force 2025 (known as Earth Defense Force 4 in Japan) with new content, gameplay tweaks, and improved visuals. It's not as much of an upgrade as I would have hoped -- particularly when it comes to the frame rate -- but it is my favorite title to date. Some of those enhancements are immediately apparent; others are hard to pin to down. Visually, this is the best-looking, best-running Earth Defense Force I've played -- which is not to say it looks good or runs all that well by normal standards, mind you. Despite claims of a "steady" 60 frames per second, the game struggles to keep up with itself. Noticeable dips are a common sight when too many Ravagers pile up near your character or when skyscrapers crumble. 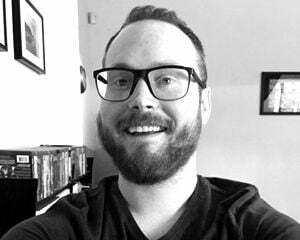 The drop off usually isn't dramatic enough to be bothersome, but there were a handful of moments during my initial 15-hour-or-so run through the campaign where the frame rate briefly became a choppy, unmanageable mess. This is by no means new for the series, but it is a shame these problems persist on a current console like the PlayStation 4. Thankfully, load times fare significantly better. They're quick. I often made it into levels before I even had a chance to finish reading the tips and tricks shown on the loading screen. Considering how many missions there are (89 in single-player and split-screen; 98 in online co-op), that's a huge deal. These games are heavily built around players returning to levels countless times to earn more armor and cool weapons. No one wants to rack up literal hours of waiting to get into the action. Generally speaking, EDF 4.1 feels like a remix. Developer Sandlot reused set pieces and story beats in its earlier games, and that doesn't change here. (Again, this is an enhanced version of 2025, which in turn borrowed from 2017, so it's to be expected.) Remember fighting waves of red ants on a beach? Oh, you will. You'll also take on spiders, bees, bipedal robots, and spaceships, all of varying color and form. The mission is always to kill everything (or simply survive until someone tells you the thing you're after can't be killed yet), but there's enough variety strung throughout the campaign that I rarely got bored. The pacing is good, and few levels outstayed their welcome. That said, your results may vary depending on which class you choose (Ranger, Wing Diver, Air Raider, or Fencer), which weapons the random-number generator has blessed you with, and whether or not you're playing alone. 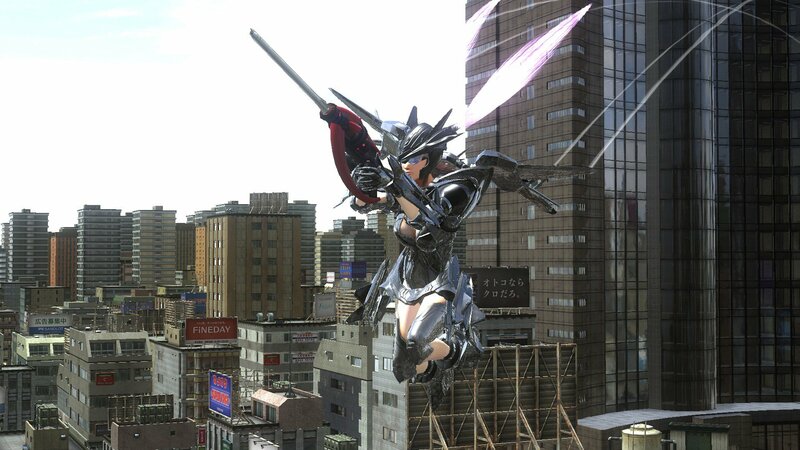 The latter three classes are more specialized, but they have better options for getting across EDF's huge environments -- whether it's flying, driving, or dashing -- and they possess some of the more entertaining toys. The Ranger is well-rounded, but he can get stale. To that last point, these games are inherently more enjoyable with a friend (or up to three, if you're playing online). The classes are designed to complement each other, so it's most enjoyable with a mix of characters. The Air Raider, for instance, can buff others, lay down shields, and manually target enemy weak points for teammates' weaponry to lock onto. As far as new foes go, there is one particular encounter worth highlighting. Sandlot has added a new kaiju enemy, Erginus, that spans multiple levels. Your superiors eventually figure out that normal bullets and missiles have no effect on the monster. Naturally, the only way to bring it down is to initiate an absurd Rock 'em Sock 'em Robots-style brawl. You get to take control of a slow-moving "walking fortress" mech and punch the gargantuan approximately three thousand times until it finally keels over. I should have known that was its one and only weakness. A later mission raises the stakes with multiple mechs fending off against multiple Erginus. My first time through, everyone got tangled up in one corner of the map and I had to wait on the AI to die before I could even get within range to throw punches. 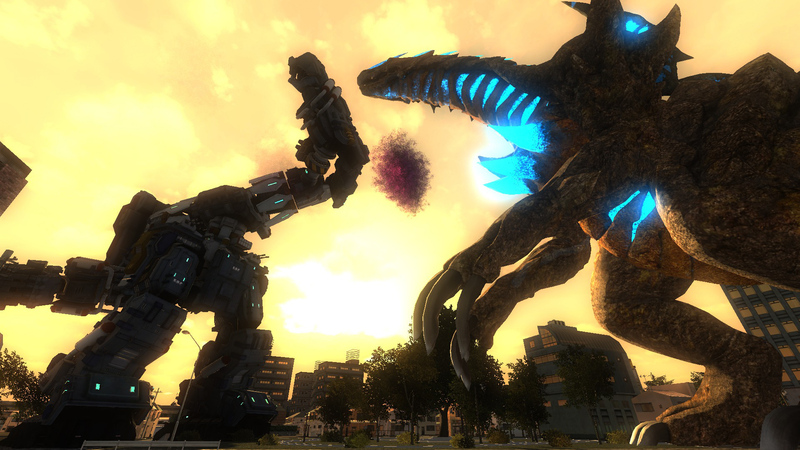 The whole thing was a stupid, beautiful mess, which is exactly what I hope to find when I play Earth Defense Force. And in case you were wondering, yes -- the mechs are carried in by choppers. Tunnel levels and vehicles are some of my least favorite elements of this series, but both are better than ever here. New lighting effects make underground areas appear as if they are, in fact, set underground, and soldiers have lights on their weapons to compensate. The atmosphere now feels far more appropriate. I still find these levels to be uninteresting and quickly get annoyed when insect bodies pile up and block my shots, but the majority of the game is set above ground. As for vehicles, crucially, you can now see where you're aiming thanks to a laser sight. It's a total godsend. And I can't tell if the handling has been improved or it's merely my imagination, but for once, I genuinely wanted to drive tanks whenever and wherever I could. It helps that one of them is shaped like a spider and can crawl on walls. Bring that one below the surface. I also got the impression that there are more NPCs on the field compared to 2025. By pressing the DualShock 4 touchpad, you can place a marker on specific buildings, enemies, or locations. I was never sure if the AI was reacting to these commands or not (those weren't suggestions, people! ), but being able to highlight targets is a great feature for co-op play. "To save our mother Earth from any alien attack, from vicious giant insects who have once again come back. We'll unleash all our forces, we won't cut them any slack. The EDF deploys!" My troops have uttered those words no fewer than 50 times and they'll continue to sing on command if they know what's good for them. This is precisely the sort of silliness that makes these games endearing in spite of their technical flaws and lo-fi aesthetic. In organizing my thoughts for this review, I realized I'm not ready to stop playing EDF 4.1. That's exciting, but also scary. I don't typically stick with these games long enough to get deep into the higher difficulty settings. Reaching that point requires a lot of grinding and patience. Too much. But that's where you need to tread to earn the best, most interesting weapons. While part of me hates that the progression system isn't more respectful of our time, I understand the appeal of having something you can keep coming back to for hundreds of hours. There's comfort in that. If I were to stick with a single installment going forward, this would be the one. Some of the upgrades fall short of expectations, and a good deal of the content is overly familiar at this point, but The Shadow of New Despair still represents the series at its best.